RENEWING? If you currently own this product and need to renew, click here. THIS PRODUCT IS AVAILABLE TO QUALIFIED FACULTY AND STAFF ONLY. IF YOU ARE A STUDENT, YOU DO NOT QUALIFY FOR THIS OFFER AND WILL NOT BE ABLE TO ACTIVATE THIS PRODUCT. 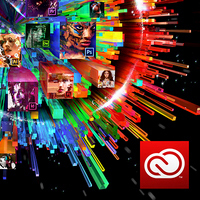 STUDENTS CAN ORDER ADOBE CREATIVE CLOUD BY CLICKING HERE. Aftr you enter store, select "Adobe" link at top of page. To purchase and use this product you MUST be a faculty or staff at a participating Adobe Enterprise Term License Agreement (ETLA) college. 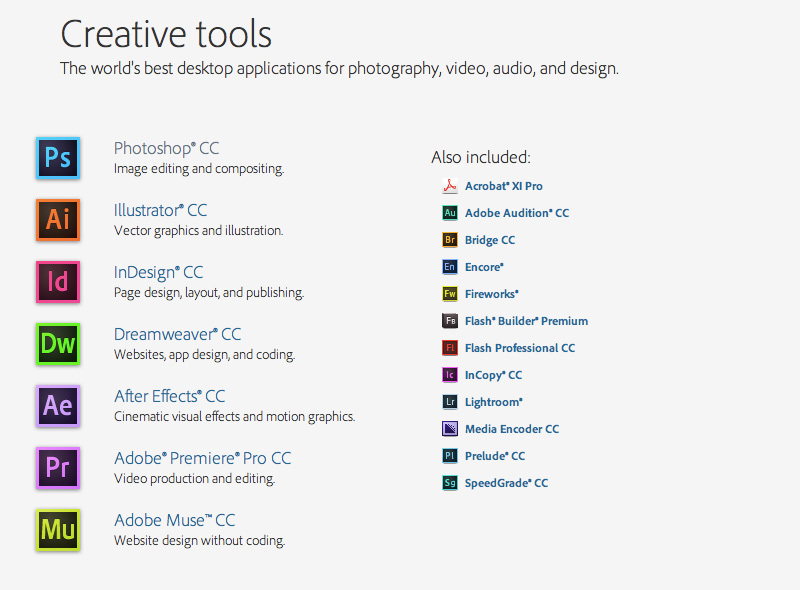 This special priced version of Adobe Creative Cloud only includes the applications listed below and 2GB of storage. 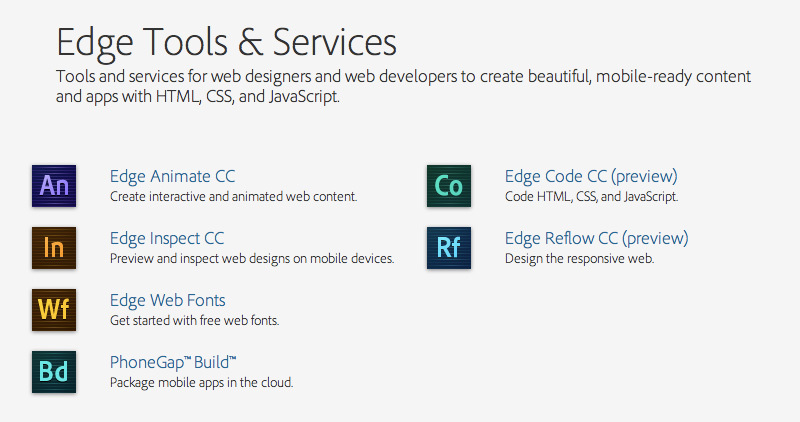 It does not include Adobe Cloud Services. Your favorite tools are about to get even better. Introducing Creative Cloud™ desktop applications, including Adobe® Photoshop® CC and Illustrator® CC. They're the next generation of CS tools. Get hundreds of all-new features. New ways to keep your creative world in sync — feature updates, settings, and feedback from team members. And, as always, your applications live on your desktop, not in a browser and not in the cloud. With Creative Cloud, your entire creative world is synced and organized for you across multiple devices. Track comments posted to shared files, keep tabs on your work and your followers on Behance®, manage your fonts, download the latest product updates, and more. When redeeming the Adobe® Creative Cloud™ Apps for Work-At-Home Use membership, it is important that you do not enable the auto-renewal terms. Auto-renewal will renew your yearly subscription at a non-California Community Colleges subscription pricing at the end of the year. Note: Adobe Creative Cloud is not compatible Android/Chromebooks.